Elena, Robin and I have been to Berlin from april 22 – 27. The main reason we’ve been there was the nomination of Mercury Shift at the Deutscher Computerspielpreis (DCP). Although we didn’t win, we are happy for the four students of the HAW Hamburg that won with their amazing concept “Ground Play” (trailer on youtube). We wish them the best luck in their future and hope that Ground Play will not remain just a concept! But yet alone being nominated was a huge honor and we are humbled to be amongst the top three entries. If you want to see us in fancy dress click for “more”. Other than that, the DCP was great. A cool show and an awesome aftershowparty made this evening very special for us. Our very first award show went surprisingly good, we even dressed up and got fancy. Although Richard Garriott stole Robin’s beer on the aftershowparty, it was an interesting evening with even more interesting people. We did meet so many new people and enjoyed being a part of the whole event. 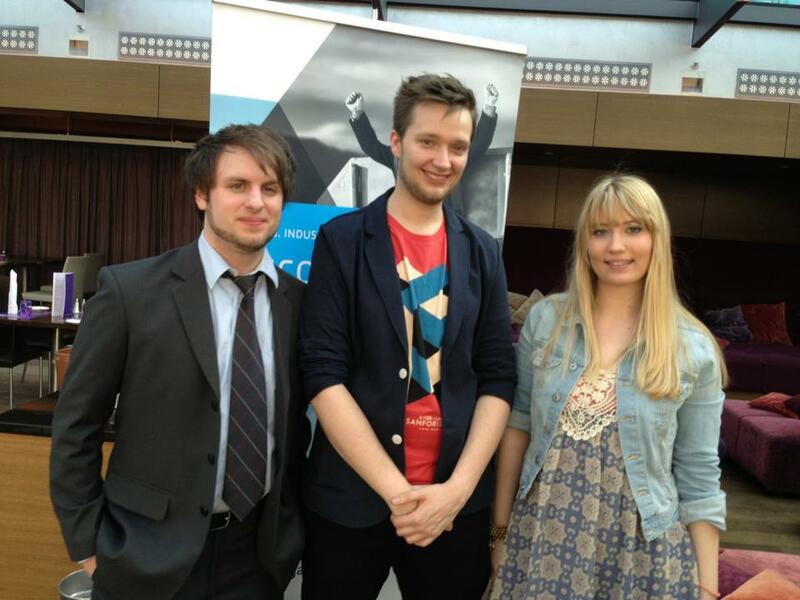 From left to right: Mathias, Robin and Elena shortly before the Deutscher Computerspielpreis 2013. Most importantly, we like to thank everybody that supported us, kept their fingers crossed and wished us luck. We appreciate it a lot! This entry was posted in News, Uncategorized, Update. Bookmark the permalink.